Girl Child Network Worldwide is a registered charity in the United Kingdom and Wales(Registered Charity No:1139112).The organisation was assessed by Charity Commission and its objects are charitable and deserving of support as they serve vulnerable groups of girls in Africa. Its governance structure has four trustees and these are highly respectable women with expertise in finance, women`s rights, NGO management and law. The trustees are the legal representatives of the charity who delegated Betty Makoni role to oversee day to day running of the charity. Trustees supervise the Chief Executive Officer. Our CEO is a volunteer herself and has mobilised many other volunteers from round the world to fundraise, advocate for girl child friendly policies and ensure a Girls Empowerment and Education Fund is set up for girls who are disadvantaged. GCNW trustees are dismayed with recent inaccurate information being posted on face book and Zimbabwe News Sites by a woman from Zimbabwe called Vio Mak(this is a pseudoname she uses and we do not know her real name ) who runs an unregistered Music Charity Project in UK. Trustees would like to inform the general that Vio Mak is not and has never been a trustee of the charity and so she is not its legal representative or spokesperson. All information she keeps posting about the charity are mere fabrications and do not represent our work at all. On many of her recent postings Vio Mak has unprofessionally reported on the activities of GCNW by releasing our financial information and clients records without seeking a formal interview with any of the trustees or the CEO. She has gone on to report on our past client Taremeredzwa Mapungwana without written consent from her and without explicit permission to do so from our charity. 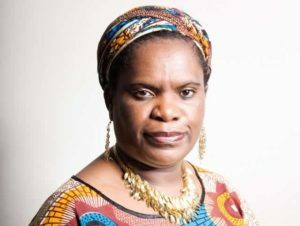 We feel this is unfair on our client and its volunteers who include the CEO, Betty Makoni who gives 90% of her time to the charity on a voluntary basis. GCNW is a relatively new Charity and as such has not secured any such funds as being reported by Zim Online Press to pay any employee and as such we thrive through commitment of volunteers across the globe who need support and encouragement. All of Vio Mak articles on her news sites attack our volunteers and leaves the organisation prejudged by public.All our volunteers including the CEO have been vetted by Criminal Records Bureau and none of them has a criminal record.All of Vio Mak articles wrongly accuse our volunteers without proof from a credible court.We therefore call upon authorities in UK to help stop this lawlessness and unnecessary attack of individuals without proof. Our affiliate organisations in Africa have been audited and continue to be audited by such reputable audit firms like KPMG and it is unfair for Vio Mak and her syndicate to disregard audited reports and generate their own whose sources like her remain with false names. Realising that many people donated to our charity ,a team of volunteers helped assess our first year of operation and produced a report. We took a step further and announced all those who donated through our website (www.girlchildnetworkworkworldwide) and circulated our report.We produced a financial report done by a Reputable company ,Paul Dawson Financial services based in Essex in a bid to make it clear that we thrive for Excellency and transparency. We strongly feel that unprofessional reports posted on Vio Mak`s websites on our charity work are misinforming members of the public and we call upon authorities who govern charities in UK to intervene. The irony behind it is that Vio Mak has not posted a single report on her Vio Mak Charity Music. When Charity Commission registered us they said our charity would submit reports to them and not Vio Mak. We feel that Vio Mak has seriously violated rights of our charity to operate in an enabling environment by constantly making false reports to the public. We seek help to have her forced to remove our Charity work from her many websites as she violates the information on our clients and volunteers. All clients we deal with are vulnerable and as such their names and such information must be immediately removed from her many websites for their protection.